Please join DC Books’ poets Greg Santos and John Emil Vincent for an evening of chocolate, poetry, and music at the Montreal West Library, 45 Westminster South, on Friday evening March 1st. Jazz Guitar renditions by Gordon Sauvé. 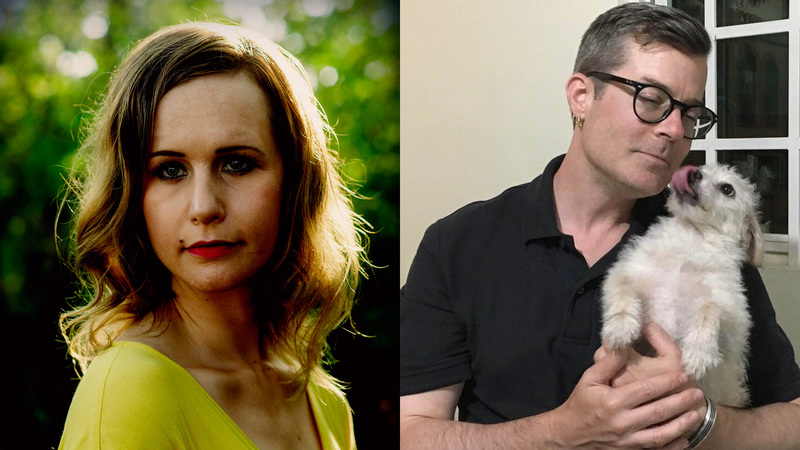 Please join us for an evening of poetry by Virginia Konchan and John Emil Vincent! We will have their books available for sale and signing. Virginia Konchan is the author of a poetry collection, The End of Spectacle (Carnegie Mellon, 2018); a collection of short stories, Anatomical Gift (Noctuary Press, 2017); and three chapbooks, including Empire of Dirt (above/ground press, 2019). Her poetry has appeared in The New Yorker, The New Republic, Boston Review, and elsewhere. John Emil Vincent is the author of Excitement Tax (DC Books, 2018), which was shortlisted for the QWF First Book Prize. His second book, Ganymede’s Dog, will come out from McGill-Queen’s University Press in Fall 2019. He presently teaches at Concordia and Marianopolis College.